Callie Bowld is my favorite kind of writer. She is authentic, bold, and hilarious! Below, with her inspiring story, you are sure to find hope for eating disorders recovery. She discusses a turning point moment, one that provided momentum toward body acceptance and, ultimately, toward life. Thanks, Callie, for having the courage to share your words with us. Submit your own Dream Big story here. When the image first came to me, I couldn’t un-see it. It was there. Imprinted. Emblazoned on my mind. I was Sisyphus. Or had been at least. There was no other way to put it. But, I was no longer. And, now, a recovered eating disorder victim committed to helping others avoid that treacherous mind-altering path, I hope I can help you see it, too. If you didn’t connect the name immediately to the character, most people know about the man from Greek mythology who was forced for eternity to roll a rock up a hill, only to have it roll back to the bottom every time he nears the top. For this reason, tasks that are considered laborious and futile are often called Sisyphean. When I read the Wikipedia page on Sisyphus while I was writing my recovery book, that was the word that I immediately latched onto: futile. Suddenly it dawned on me. Everything I was doing to try to make my body look a certain way was futile. It could not be done. And, the added effort (okay, let’s call it torture and abuse) I was bestowing on her was only making her look worse. All of my monstrous efforts to avoid food, resist food, or even use food as a mind tool were moving me further away from my goal to look and feel good. I was the one pushing the rock down. Suddenly I could see that, too. My tired, overworked, under-fed Body struggling to move the colossal rock up the hill; and my wretched, mad Mind—standing as a shriveled, bony, unhealthy thing at the top—just waiting for the rock to reach her so she could shove it back down again. Finally, I could see that if I stopped everything I was doing that was unproductive—exercising too much, restricting myself too much, allowing myself emotional binges, and forcing myself to throw anything bad that went down up—that maybe, just maybe, I could have a body I would be satisfied with. Maybe she wouldn’t look like Elle McPherson but maybe she wouldn’t be a total blob either. It took me a long time to realize and resign to the fact that my body, on a normal, healthy, diet just looks a certain way (nothing like McPherson) but that’s totally okay. She’s beautiful in her own right because she’s the only one there is. It took twenty years for me to finally have that moment where something shoved me outside of my skin, and I saw that the wretched, horrid, terribly unhealthy pattern I had been following for years was absolutely, undeniably futile. It—my perverse and unnatural approach to food—was the problem. I remember my Sisyphus moment, when I was in recovery and writing my book. It was a snap epiphany and one I like to share with others who may be suffering from the same problems I did for so long. Because if you can see yourself, just as I did, as Sisyphus pushing a rock up a hill, it makes that path a little less inviting. When you have one of those bad days, because there are plenty, and you think the only thing that will set things right and give you the motivation to get back out and suffer all of that again tomorrow would be to go to that bad place, do that bad thing that will calm the ravenous shouting beast in your mind, think of Sisyphus and the futility of his routine. Going there will continue to bring you back there. And there is at the bottom of the hill with your colossal eating disorder boulder sitting next to you. Author Bio: Callie is bold. She is also healed and inspired to help others kick the snot out of this disease, just as she did. While I was not ready to become—to the rest of my professional and public world—the new face of bulimia, Callie was. 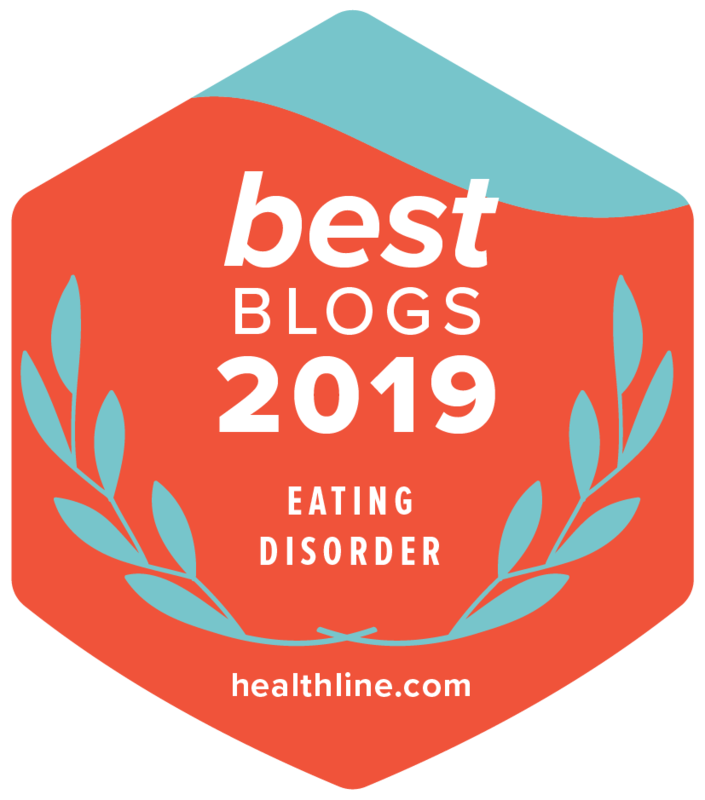 Callie is the name I published under as she was courageous enough to put it out there to reach and impact others in a brave and boldly funny story of her recovery: What Goes Down: The End of an Eating Disorder. I hope her story will empower you. If so, please share it. And please let Callie know: callie.bowld@gmail.com.